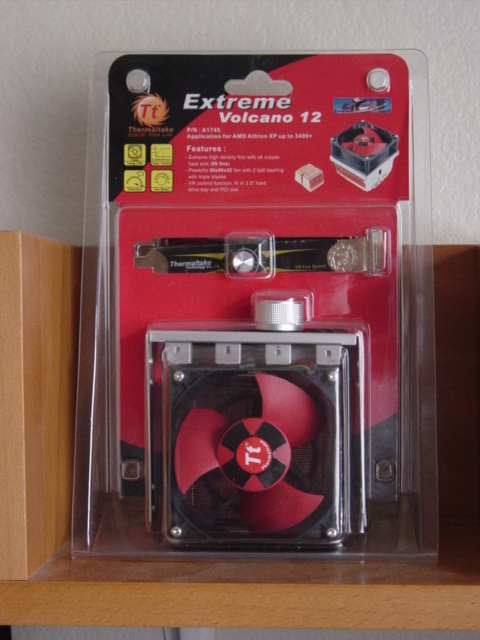 Not too long ago, Thermaltake released their next successor to the Volcano Series SocketA Heatsink, the Extreme Volcano 12. The Volcano 12 is a big step for Thermaltake. Their Volcano series heatsinks have been known to cool very well, but at the expense of your ears. Although most of the Volcano series heatsinks did include a fan speed controller, the settings were preset (e.g. Low, Medium, High) and did not allow for full flexibility of adjusting the fan speed/noise to the user�s liking. Recently, Thermaltake started including fan speed adjustment knobs (starting with the Volcano 11). With the Volcano 12, noise is no longer a factor (unless you want it to be). The Thermaltake Volcano 12 allow users full customization of fan speed (thereby controlling the noise) via a knob that can either be mounted onto an expansion slot or 3.5" bay. The specs of the Volcano 12 is unlike any other Volcano heatsink ever made: it has a 3-blade fan (as opposed the traditional 6-8) and 66 copper fin heatsink (which are a lot of fins, compared to other heatsinks). 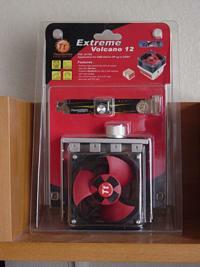 The street price of the Thermaltake Extreme Volcano 12 is decently priced around $30. We also have the Gladiator 3 from OCZ. 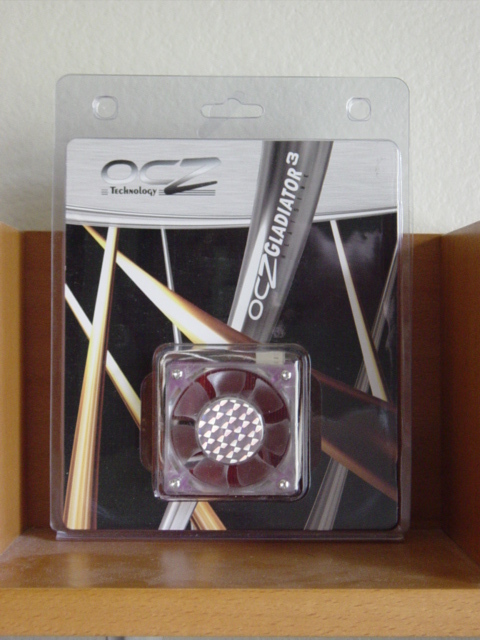 Although OCZ is well known for their RAM, they also produce a small line of Heatsink Fans, case fans, thermal compound, and other cooling related products. The Gladiator 3 comes in two versions, one with a medium-speed tri-LED or a high-speed quiet fan. Although not as fancy and buff as the Volcano 12, the OCZ Gladiator 3 is made of single-piece copper construction, unlike the Volcano 12. The Gladiator 3 is street priced at around $17, which is a really good deal, considering it is a Copper heatsink.